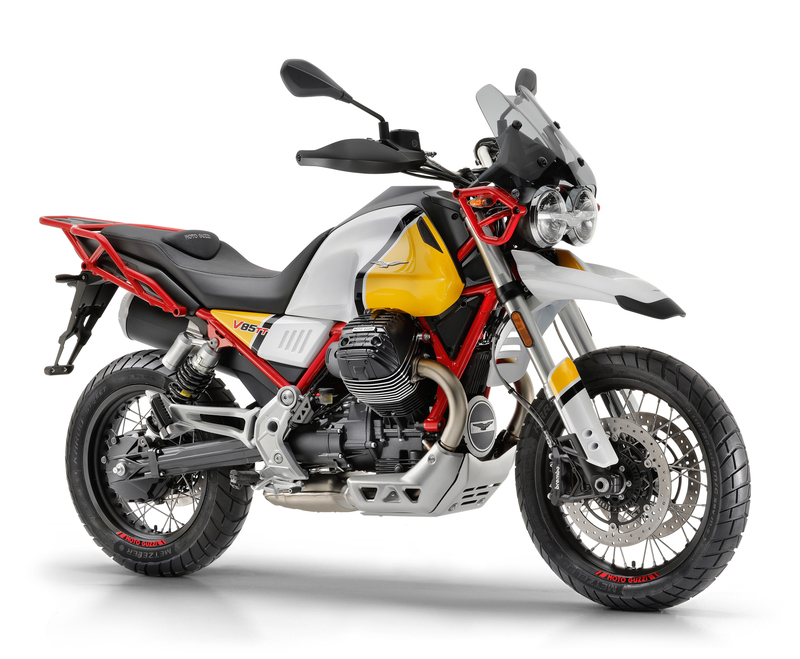 More and more manufacturers have been embracing the adventure bike concept as of late, and it has certainly created plenty of buzz. I mean who expected Harley Davidson to step up to the plate with their Pan America? 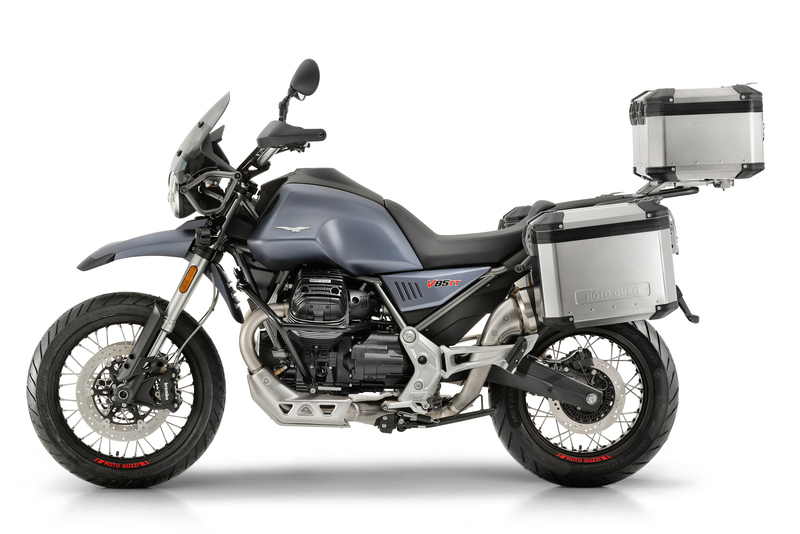 But out of all the amazing bikes entering the arena, this new release from Moto Guzzi is definitely one of our favorites. 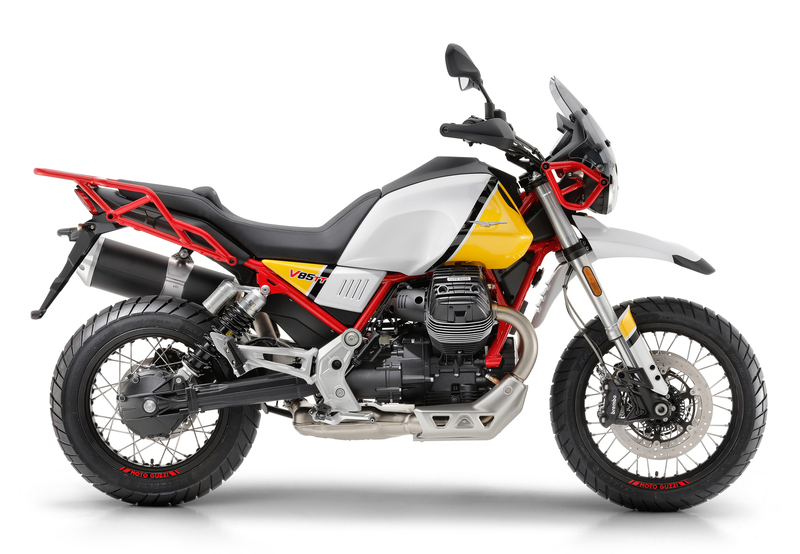 They’re calling it the V85 TT, and the platform boasts an entirely new motor, gorgeous lines, and a heart pounding paint job hailing from Moto Guzzi’s Paris to Dakar days. 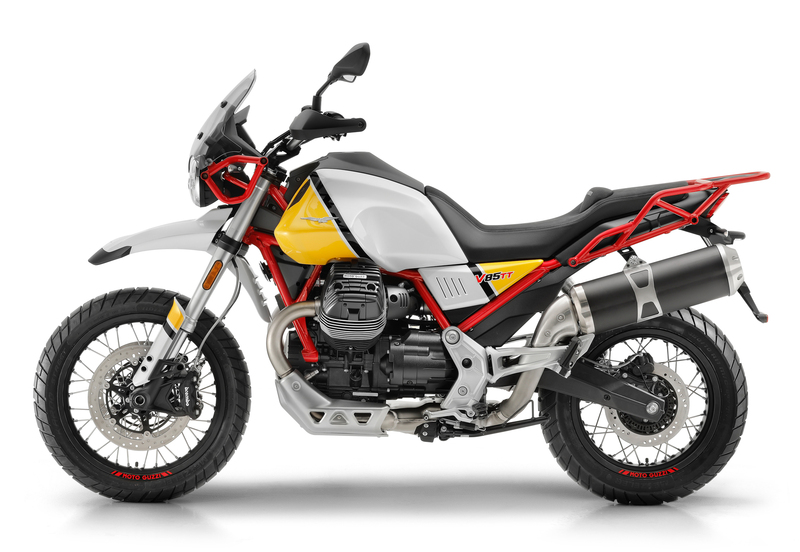 Although the brand already offers some adventurous platforms, this latest bike is part of their plan to expand into new segments for their upcoming 2021 centenary. As you’d expect, it blends timeless style with modern components to create a bike that is not only loaded with classic character but fun and easy to ride. 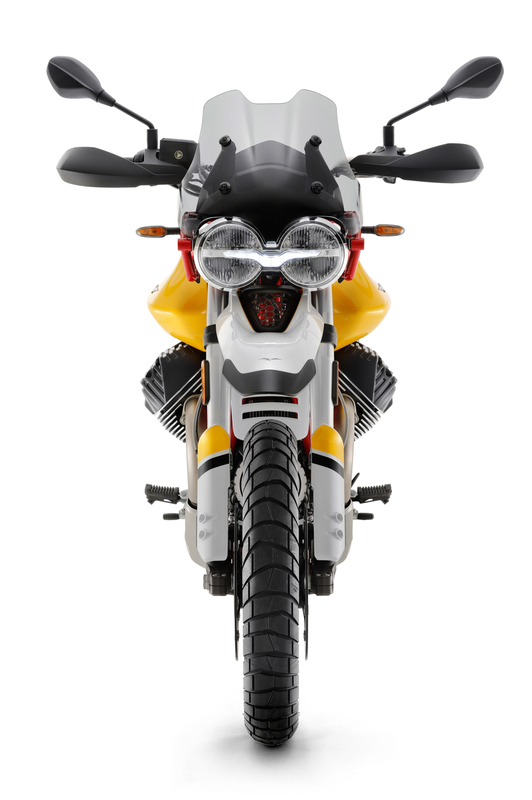 The sculpted lines of the fuel tank, front mudguard, and double headlight are a throwback to the company’s African rally raids, but they’re paired beautifully with modern digital gauges and LED daytime running lights for an updated vibe. 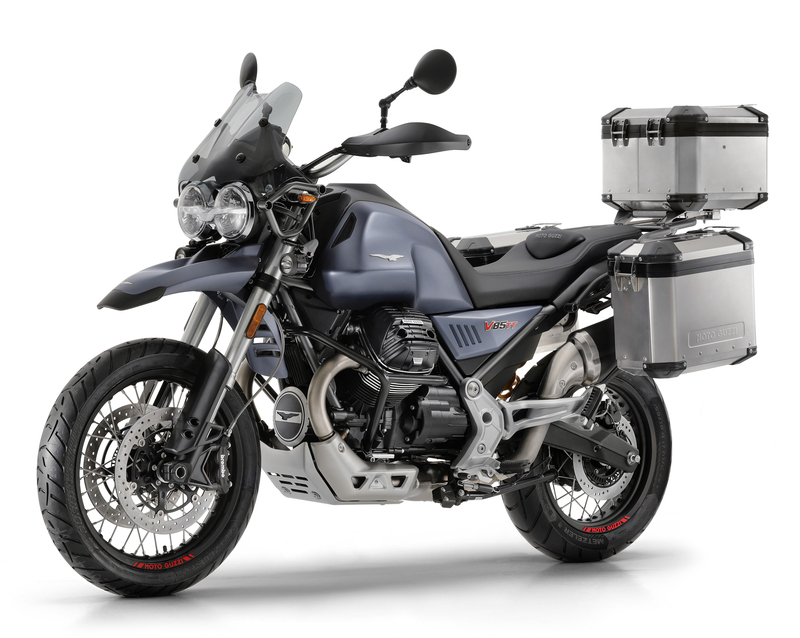 An all-new steel tube frame keeps weight down while balancing proportions ideal for touring with one or two riders plus luggage, and an asymmetric aluminum swingarm has a curved shape which helps keep the exhaust linear and the profile slim for maneuvering. 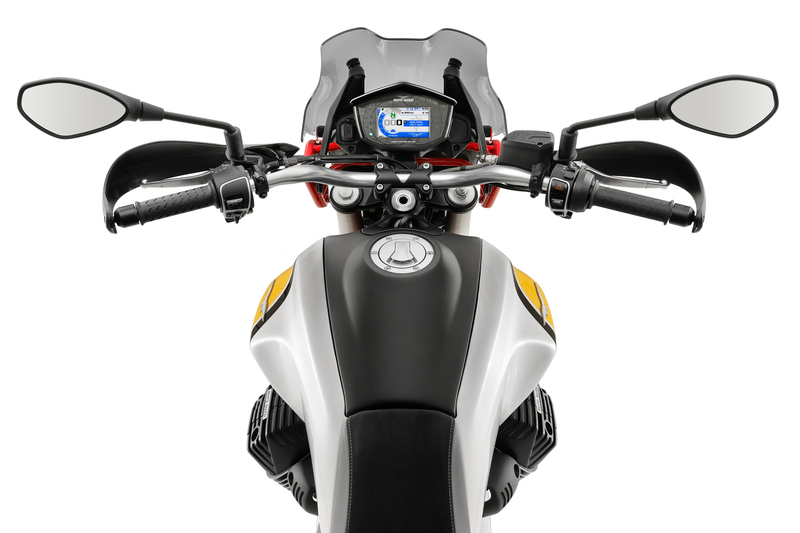 On the opposite side, you’ll find a new shaft drive transmission with a monoshock absorber that connects the chassis to the swing-arm while providing easy access for preload adjustments. 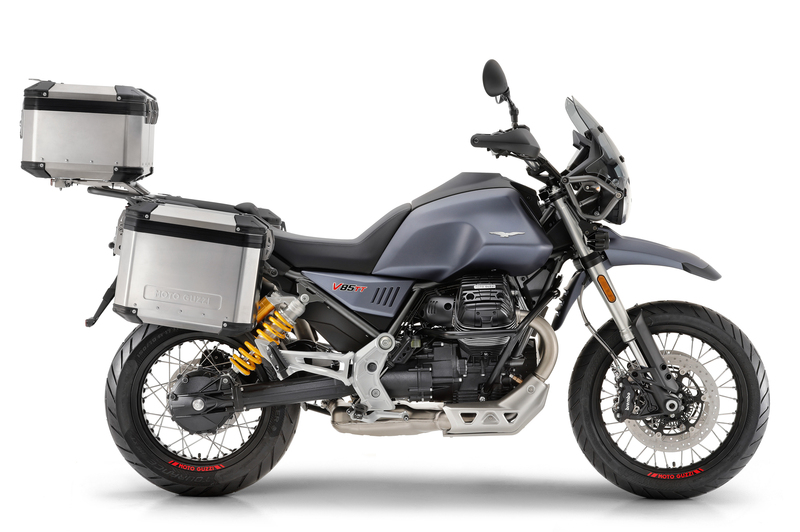 Tucked neatly inside this frame is Moto Guzzi’s all-new proprietary motor, an 850cc two-cylinder 90-degree transverse air-cooled engine that can produce up to 80 horsepower. 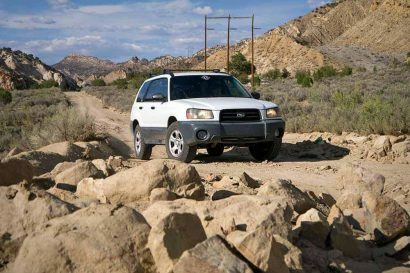 The Italian company promises that it will deliver rewarding performance on every kind of terrain, from the tarmac to rocky mountain trails. 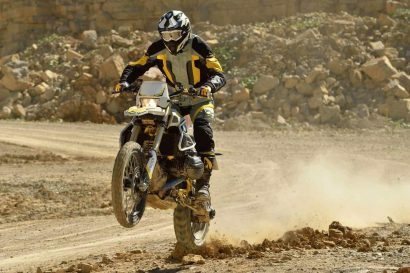 To help you tackle those tougher trails the V85 TT will use a suspension system with generous wheel-travel, favorable undercarriage clearance, and an upright riding position that should provide plenty of control in any situation. Although we haven’t ridden the TT yet, we love the concept of adventure balanced with daily drivability that they’re shooting for. 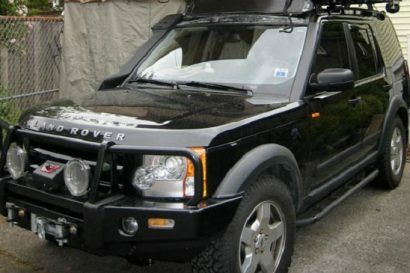 If its performance is even half as good as it looks, the V85 will be sure to capture many adventurous hearts. To learn more about this beautiful motorcycle, or just see more awesome photos, check it out on their website here.